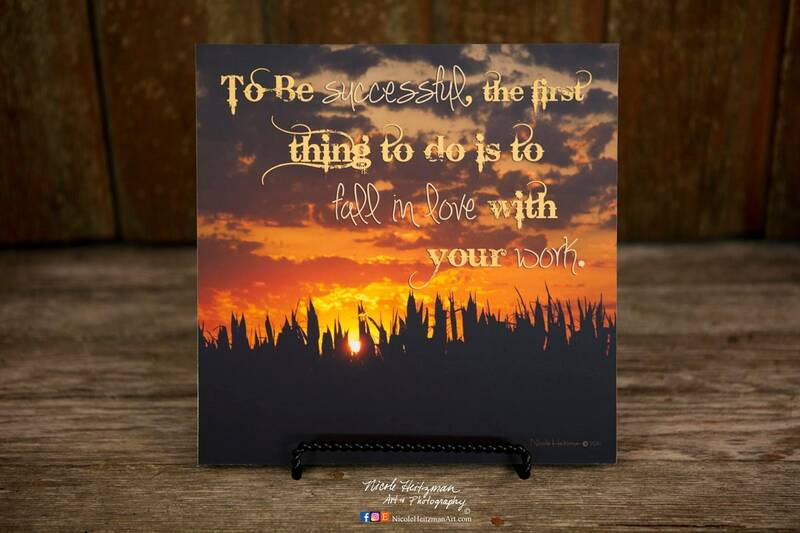 The photographer of this corn field sunset image is Nicole Heitzman. The wide open skies on the Midwest plains offer some gorgeous country views. The crops go on as far as the eye can see in many areas. The glowing sunset silhouette of a growing corn field is a heavenly view to many...especially those who appreciate the country life. 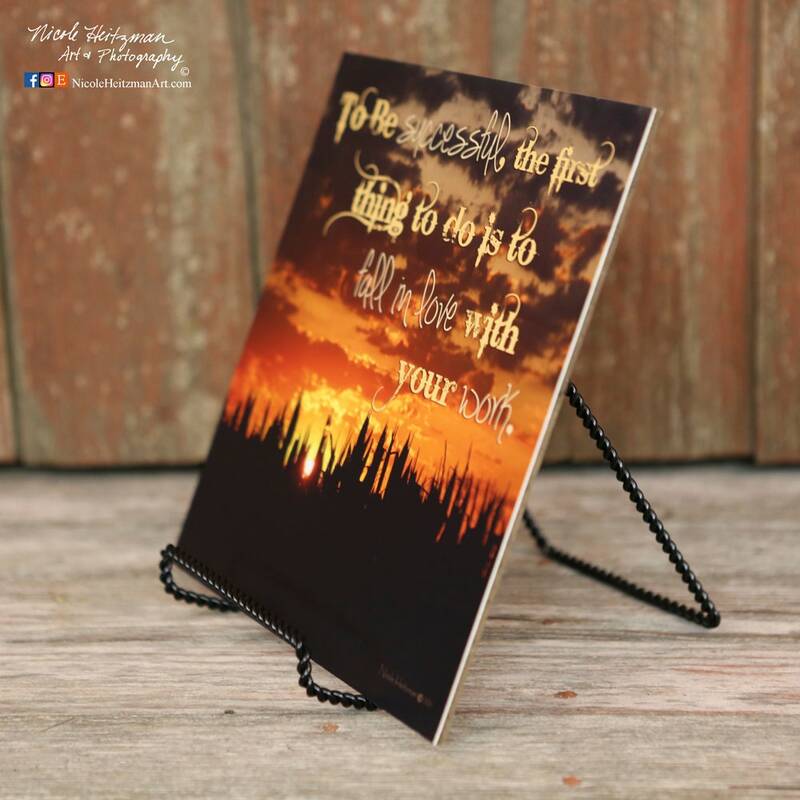 The photo print is 10" wide by 10" high and is mounted to masonite. The quote on the image says "To be successful, the first thing to do is fall in love with your work." It does not come with the black metal easel shown in the photo, but you may inquire if you'd like to purchase one. The color on your screen may vary from the actual print. For additional questions or special requests, contact Nicole. All payments must be made before items are shipped or picked up. Tax is included where necessary. Shipping is based on size, weight & packing methods. If you should need items combined for shipping or adjusted to receive an item by a certain deadline, please contact Nicole for available options. For questions, contact Nicole via Etsy's link to "Conversations" or the "Request a special order" button. Due to the nature that many items are custom order there will be no refunds on those purchases. It is not possible to resell most custom items. Refunds are only made if the artist deems it necessary.